However, few people know that she is not an American actress, 32-year-old Gal Gadot comes from Israel, and she won the title “Miss Israel “in her 19 years old. She is the first non-American who plays Wonder Woman. When remodeling the classic role, she brings infinite surprise to the animation fans and movie fans at the same time. Before entered the Hollywood film circle, Gadot was a model in Israel. But do not think that the charming lady on the runway is just a vulnerable eye-candy person. In Israel, where people pursue a universal military service, 20-year-old Gadot joined in Israeli Defense Forces immediately one year after she won the “Miss Israel” title and became a real woman warrior with gun in arms. Dressed in military uniform, bright and brave Gadot not only shot publicity photos for the army, but also accepted the invitation from the media and magazines of shooting a series of portrait photos with the theme of military uniform. It turned out that her high popularity had spread far away from Israel, and even New York Post published her pictures, which laid a foundation for her entrance to America. Gal Gadot’s debut in Hollywood was Fast and Furious 4 in 2008. She played a female racing driver called Gisele. As for the reason of choosing Gadot, Chinese director Lin Yibin said he was fond of her experience of joining the military. She could apply her knowledge about weapon and wrestling which she learned from military in the film shooting. And you definitely cannot imagine that the beautiful Gadot is a crazy Heavy Motorbike fan in her real life, and other extreme sports like rock climbing are nothing difficult for her! Thus, she used to say proudly that all the difficult movements in the film were accomplished all by her own. 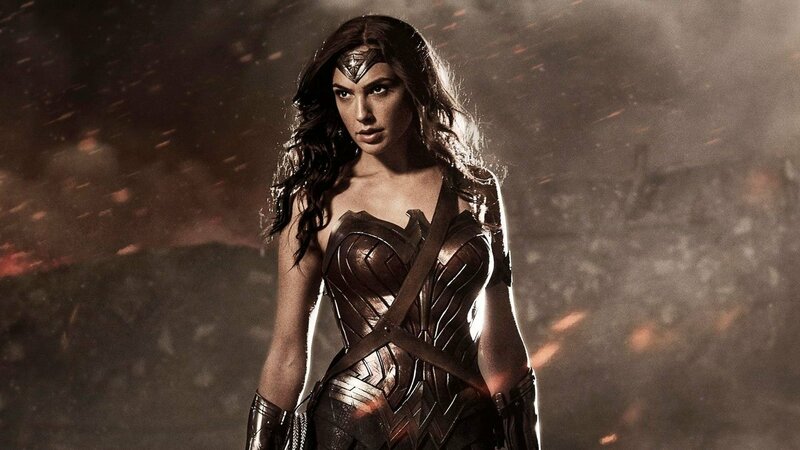 Now it has to be mentioned that when Gadot was preparing for Wonder Woman, in order to be more coincident with the original image, she accepted a very strict physical training, including Chinese Kungfu, boxing, swordsmanship and Brazilian jiu-jitsu and so on, which made her gain 17-pound muscle. Gal Gadot not only takes to her career like a duck to water, but also has an enviable marriage. Back in 2008, 23-year-old Gadot married Aaron Visano, an Israeli merchant giant. They have settled down in Tel Aviv since they married, and managed a five-star hotel. Now they have married for almost ten years, and have two little lovely angels, Alma and Maya. Alma is the elder sister, born in 2011, and her sister Maya was born in March this year. Gadot often shared the pictures of her babies and husband in social media, which shows her effusive happiness! Her look combines Natalie Portman’s pureness, Taylor Swift’s sweetness and Candice Swanepoel’s coquettishness together......This charming woman was elected as one of the “Top 50 smartest, most talented, interesting and elegant Judaic lady in the world “in 2012 by the Israeli media. Although Gadot has gained God’s preference, she has never been slack in work. Soon after giving birth to Maya this year, she rushed about everywhere to promote her movie, shot portrait pictures for magazines and attended events without resting. No matter in film or in life, she is a strong woman. The harder you work, the luckier you will become. It is exactly the best explanation of her life. Gal Gadot, who balances career, marriage and family in a good way, is an outstanding model of the 21st century’s independent new woman. When she was interviewed in the early days, she said that she preferred tough, confident and attractive women, and these adjectives are the authentic depiction of herself.